ANZCCART aims to promote best practice whenever animals are used for research, testing or teaching. This resource bank contains articles, newsletters and information that will help you keep up to date with the latest developments in animal welfare. 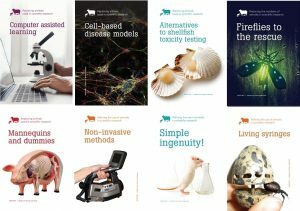 Resources and websites that provide information on alternative methods in animal research, testing and teaching. Resources and websites that provide information on animal comfort. We strongly recommend the free interactive course on designing animal experiments provided by Michael Festing. A collection of scientific reviews outlining the use of analgesics in research animals. A collection of scientific reviews outlining the use of anaesthesia, including different anaesthetic options, in research animals. Resources and website that provide information on 0peness in animal research.